Product prices and availability are accurate as of 2019-04-23 08:08:31 UTC and are subject to change. Any price and availability information displayed on http://www.amazon.com/ at the time of purchase will apply to the purchase of this product. 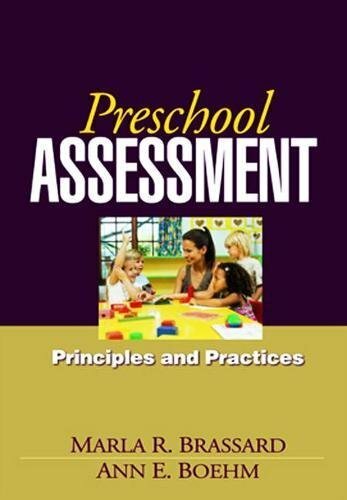 Comprehensive and user friendly, this ideal professional reference and graduate text provides a developmentally informed framework for assessing 3- to 6-year-olds in accordance with current best practices and IDEA 2004 guidelines. 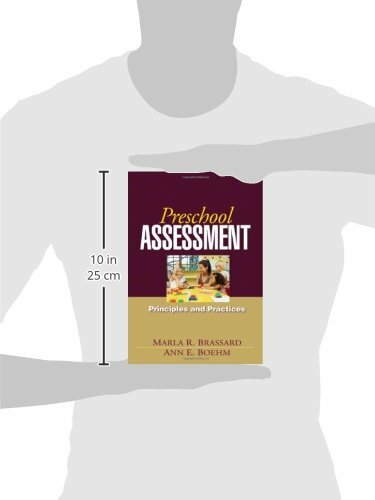 The authors are leading clinician-researchers who take the reader step by step through selecting appropriate measures, integrating data from a variety of sources, and using the results to plan and evaluate effective interventions and learning experiences. Coverage encompasses screening and assessment of cognitive, linguistic, emotional, and behavioral difficulties, including mental retardation and autism. Case studies illustrate key facets of assessing diverse children and families; appendices offer concise reviews of over 100 instruments.